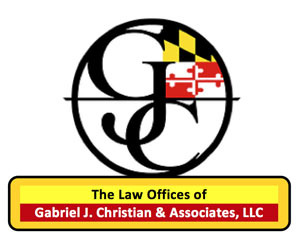 (03/25/2019) — From the very outset of President Donald Trump’s Administration it became evident that diplomacy was not in the new U.S. president’s tool box. It was patently clear that the Trump Administration would conduct foreign affairs contrary to widely accepted diplomatic norms. President Trump showed no interest in the State Department and diplomatic statecraft. Coercion and force would be the actions of choice by which President Trump would demand compliance with his administration’s geopolitical objectives. U.S. foreign policy would be transactional in nature, and, as former U.S. Permanent Representative to the United Nations, Nikki Haley warned, any country not backing Trump administration’s positions in regional and international fora would face future repercussions. In the early stages of the Trump administration’s engagement on the situation in Venezuela, President Trump declared that military action in Venezuela was on option. This was repeated on a number of occasions by the president and senior members of his foreign policy team. Through this window one must evaluate all actions taken to date by the Trump Administration to effect regime change in Venezuela. The sanctions measures imposed on the Venezuelan government and its energy sector, on the country’s financial system, on Venezuela’s citizens and entities could only be seen as precursors to possible military intervention by the United States and/or by U.S. proxies. It appears only to be a matter of when. It has been manifestly evident for some time now that at some stage the president would ignore voices in Congress opposed to military intervention and the near global consensus that the pursuit of a negotiated settlement of the Venezuela crisis is the right course of action. U.S. Secretary of State Mike Pompeo has made it clear that mediation which includes Maduro is a waste of time. There is very little support, if any, in the U.S. Congress for Maduro to remain in power. Neither is there much support globally for Maduro. On the other hand, there is a great deal of support for humanitarian assistance for the people of Venezuela but such assistance cannot be channeled through the Maduro regime, hence, the standoff on delivery of U.S. humanitarian assistance to Venezuela. Maduro does not object to humanitarian assistance channeled through United Nations agencies. However, the U.S. will deliver assistance to the people of Venezuela only through Juan Guaido recognized by the Trump Administration as the interim president of Venezuela. As the economic situation deteriorated from the effects of U.S. sanctions and economic mismanagement by the Nicolás Maduro government, the political and humanitarian situations in Venezuela reached crisis stage. It is in this quagmire of geopolitical machinations that CARICOM Member States have found themselves. Votes taken at the Organization of American States has created deep divisions in CARICOM. 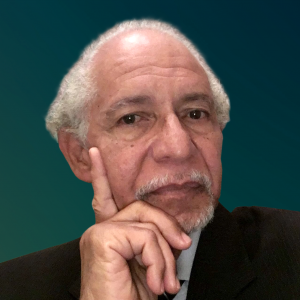 The mistrust which now permeates among CARICOM Member States has created an existential crisis for the sub-regional organization. 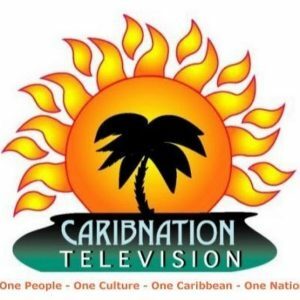 CARICOM’s future existence is now threatened, and statements that there is Caribbean unity is pure fiction. 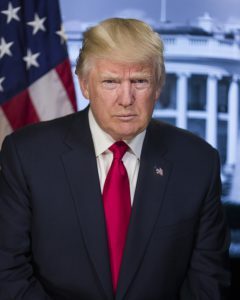 A White House Press Statement issued March 19, said the purpose of President Trump’s meeting with the Caribbean leaders on 22nd March would be to “reaffirm our strong friendship with and commitment to these countries, and signal the importance of the Caribbean to the hemisphere. The President will discuss his vision for our diverse relationships in the Caribbean and the potential opportunities for energy investment.” The statement also said the President was “looking forward to working with countries in the region to strengthen our security cooperation and counter China’s predatory economic practices … and to thank these countries for their support for peace and democracy in Venezuela.” Importantly, the Trump Administration, beginning with former Secretary Rex Tillerson and carried forward by Secretary Pompeo, has been warning the Caribbean and the Hemisphere about what the U.S. termed as “China’s predatory economic practices.” China’s prominence on the agenda is no surprise. There was bitter reaction by some CARICOM leaders to those of their colleagues who accepted Pres. Trump’s invitation to meet with him at his private residence at Mar-a-Lago. 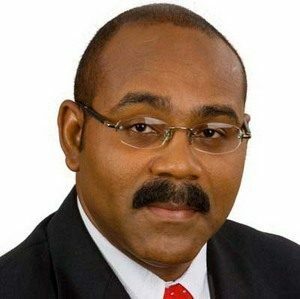 The level of bitterness and disdain aimed at the CARICOM 4 — the President of Haiti, and the Prime Ministers of the Bahamas, Jamaica, and St. Lucia (the CARICOM 4) — by their colleagues were unprecedented in the organization’s history. The statement of the Hon. 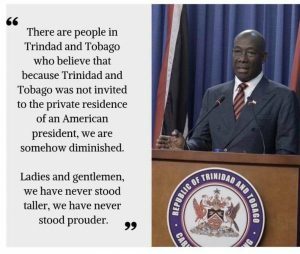 Keith Rowley, Prime Minister of the Republic of Trinidad and Tobago, was perhaps the most condemnatory. 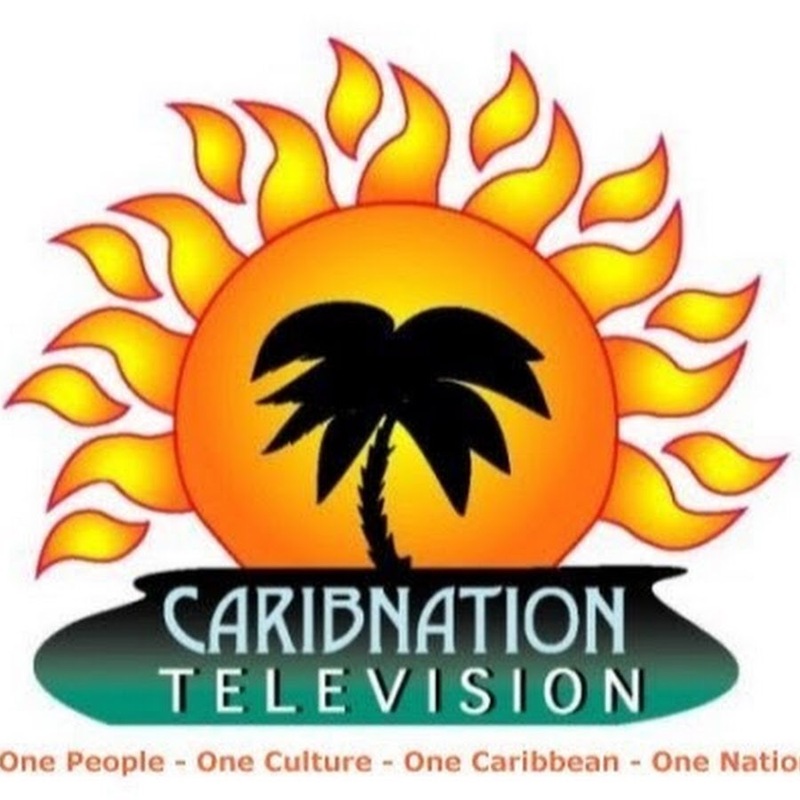 Rowley made it clear that the CARICOM 4 do not speak for CARICOM on Venezuela and that only the three CARICOM-designated leaders, the Prime Ministers of Barbados, St. Kitts Nevis, and himself, are authorized to speak on behalf of the organization. 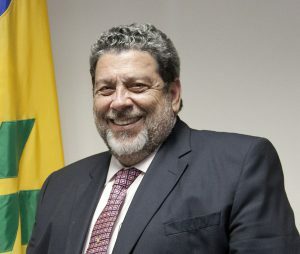 Notably, the CARICOM 4 was being rewarded for having voted with the U.S. on the Venezuela resolution in the OAS in January. Prime Minister Rowley was particularly disparaging of the fact that the President of the Dominican Republic, a non-CARICOM member State who had discriminated against and violated the human rights of Haitians born in and lived for decades on DR’s territory was a part of the group presumably representing the CARICOM region. 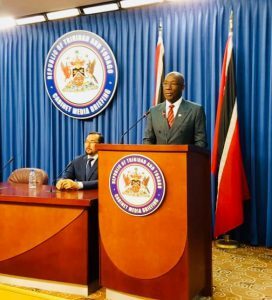 Rowley was joined in condemning the meeting by the Prime Ministers of Antigua and Barbuda and St. Vincent and the Grenadines, the Hon. Gaston Browne and the Hon. Ralph Gonsalves, respectively. Prime Minister Browne very strongly rejected the idea that China’s economic engagement in the region is predatory, and challenged the United States to offer development loans to match the 2% loans over 20 years with five years moratorium offered by China to countries in the region. 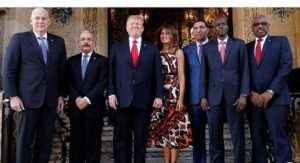 The CARICOM 4 + 1 came away from the meeting with Trump seemingly pleased with the promises given and the expectations of future discussions on energy and investments. The future will determine whether their optimism is well founded and what benefits these countries will derive for siding with the Trump Administration. In the meantime, I have learnt from good sources that the U.S. government has been increasing its diplomatic overtures to opposition political parties in the countries which failed to support Trump’s policy and actions on Venezuela. 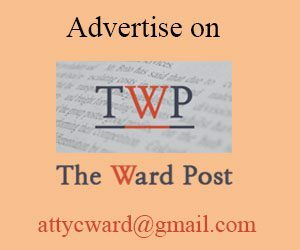 TWP will be watching for any future developments on this issue. 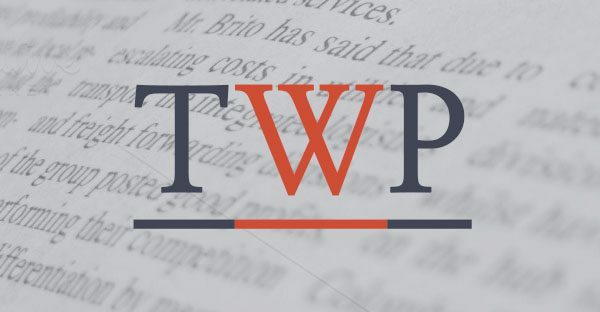 As this article was being written, TWP learnt that two Bills were passed with bi-partisan support in the U.S. House of Representatives today. One of the Bills approved US$150 million in humanitarian assistance to be delivered directly to the people of Venezuela and prohibits arms sale to the Venezuelan military. The other Bill, the Russia-Venezuelan Threat Mitigation Act directs the U.S. State Department to provide a threat assessment and strategic approach for dealing with Russia’s growing military sway in Venezuela. The recent arrival in Venezuela of some 100 Russian military personal and Russia’s increasing military presence in Venezuela has raised concerns among U.S. legislators. The Bill also requires the President to monitor the risk of Russian acquisition of Venezuela’s CITGO assets in the United States, as well as impose a visa ban for any individuals working on behalf of the Russian government in direct support of Venezuelan security forces. 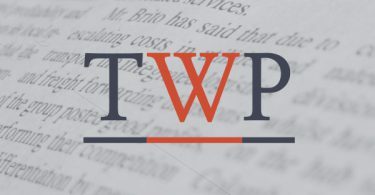 TWP will follow the progress of these Bills in the Congress and provide an analysis of their possible effects.